F ull report by Joan Baltà and Simone Belli, School of Design Engineering and Innovation, Yachay Tech can be downloaded from the EULAC-FOCUS website on http://eulac-focus.net/about-eulac-focus/project-structure/WP4/WP4---Scientific-Dimension-Results/STI2017-Co-publication-short-paper/. Cooperation in science has become increasingly important due to research networks and a shared vision that key societal challenges can only be addressed through science cooperation. Mapping bi-regional scientific collaboration demands multiple approaches to obtain a picture as complete as possible. The research conducted for Work Package 4 - Scientific dimension of EEULAC-FOCUS and the report written by Joan Baltà and Simone Belli sets out to analyze scientific publications listed by the Web of Science database which involves authors from EULAC countries between 2005 and 2016. We have used the data analysis tool for Web of Science to obtain registers per country, years of publication and research areas for each sample. We have also considered the type of document, language, and organization for the EULAC sample. 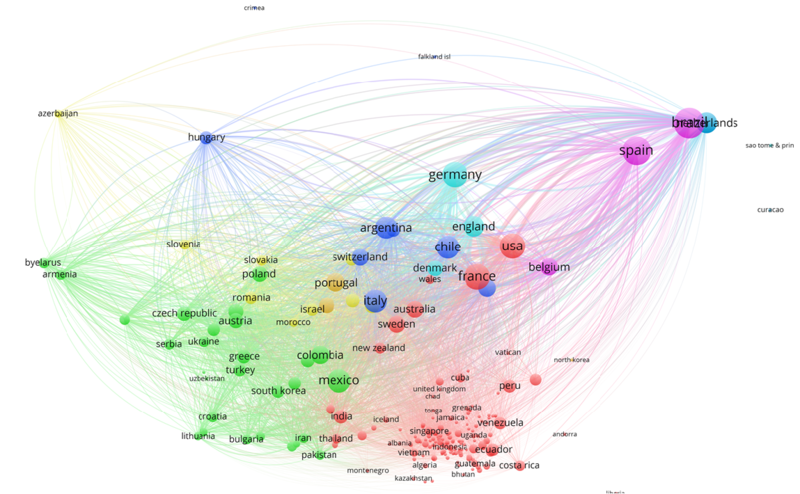 The registers have been analyzed with VOSviewer drawing a net of links among countries to identify starred countries and the strongest links of the net. 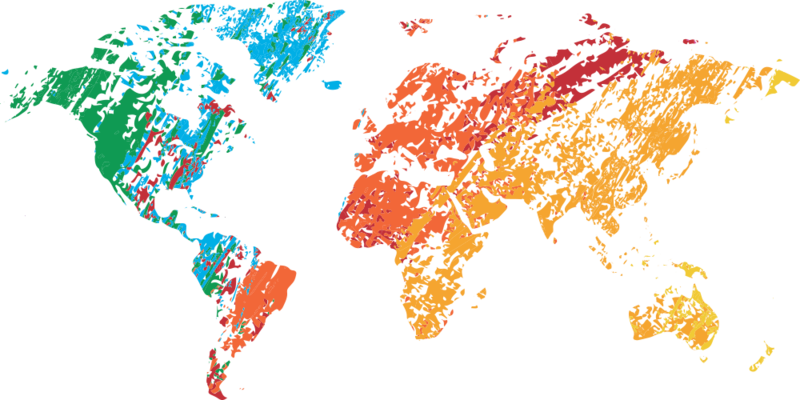 The data obtained shows an evolving network of scientists of 214 different countries and territories. EULAC collaboration is not only a matter of EU28 and LAC countries; it involves many other countries, especially the US. EULAC scientific collaboration will become harder and harder to separate from the whole scientific network that scientists from all countries are already building. In summary, it highlights the building of a global scientific collaboration network in which the role of the 28 European countries and the United States is crucial for the scientific development of Latin American and Caribbean countries. This year’s SOM took place in March 2017 in Brussels. It was co‐led by the European Commission (EC) and the CELAC pro‐tempore presidency of El Salvador. The main aim of the SOM was to present the progress made in implementing the CRA and discuss newly upcoming thematic priorities for the bi‐regional cooperation. EULAC-FOCUS was represented at the SOM meeting by DLR Project Management Agency, Germany who participated in the major discussions and outcomes of the EU‐CELAC SOM 2017, to outline what EULAC Focus offers to implement the Common Research Area efficiently. A full article, reporting on those discussions, has been published on the EULAC-FOCUS website on page http://eulac-focus.net/about-eulac-focus/project-structure/WP4/WP4---Scientific-Dimension-Results/EULAC-Focus-Summary-SOM2017/. 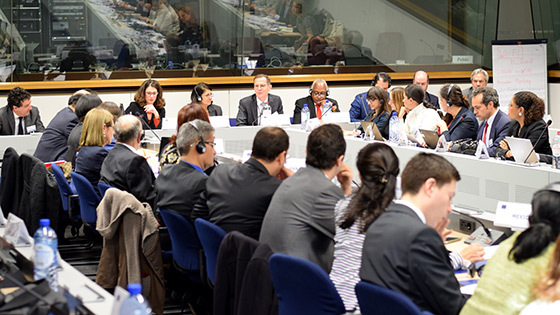 to increased thematic cooperation to address global challenges by disseminating relevant information and outcomes in all directions in order to create a higher visibility and improve the dialogues between EU and CELAC Science, Technology and Innovation actors on all levels. también conocer mejor los aportes de las instituciones presentes para destacar el valor estratégico de la dimensión cultural en las relaciones internacionales.